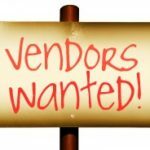 We are looking for direct sales vendors and/or businesses within our community to display, advertise, and sell goods or services (including homemade items). Contact Denile Paro at 518-470-0157 to reserve your space. Payments/contracts for confirmed reservations can be processed online at Hoosicvalleypto.com or mailed to Denile Paro at 38 Lyon St, Valley Falls NY 12185 by February 20th,2019. If paying by check, please make checks payable to Hoosic Valley PTO. You may bring one table up to 8 feet in length and chair. We would also like a small product donation for a raffle. Please bring this the day of the event. Thank you! Please make checks payable to Hoosic Valley PTO. Please contact Denile Paro at 518-470-0157 with any questions.